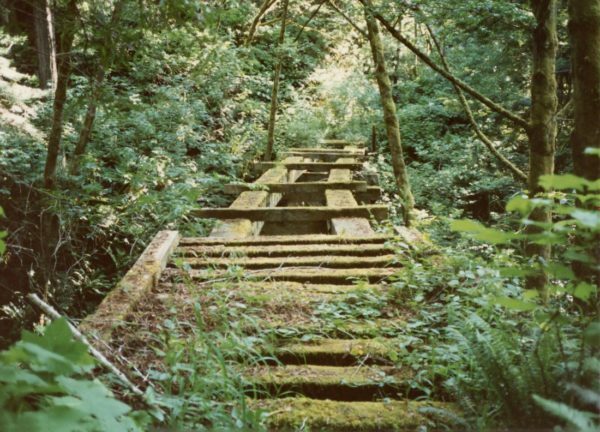 What’s left of the very long trestle at McKerricher Park which was part of Union Lumber Companies’ (ULC) 10 Mile Branch? 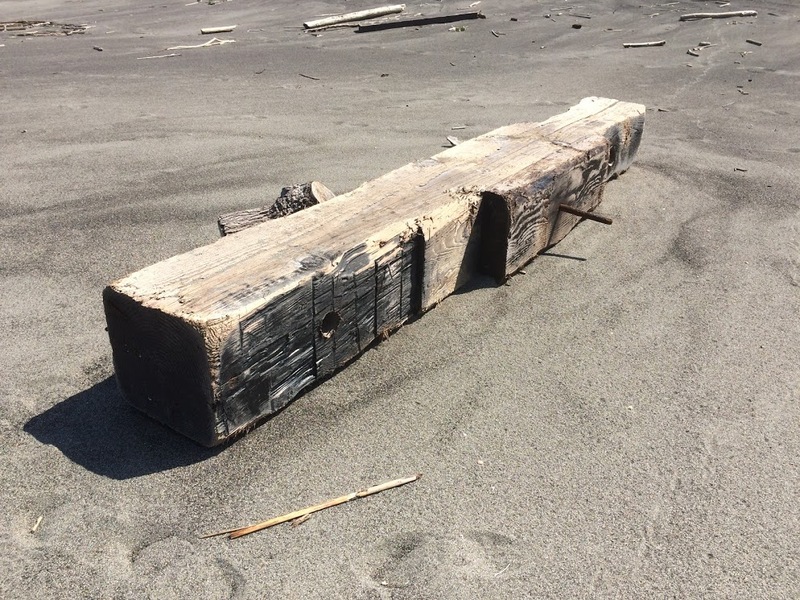 The Union Lumber Company’s Ten Mile Branch ran from the Mill site in Fort Bragg north along the coast over five trestles till it came to Ten Mile River. 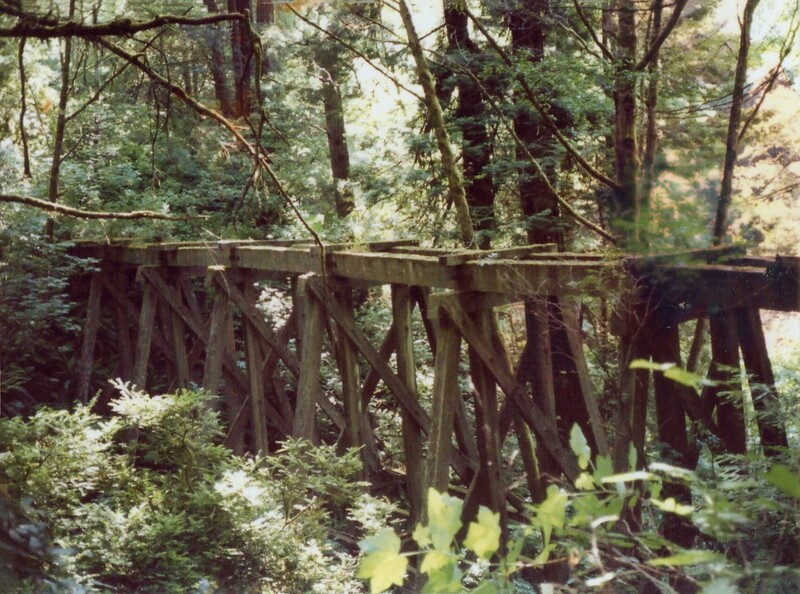 The first of the five – Pudding Creek Trestle – is the only one of the five that remains. 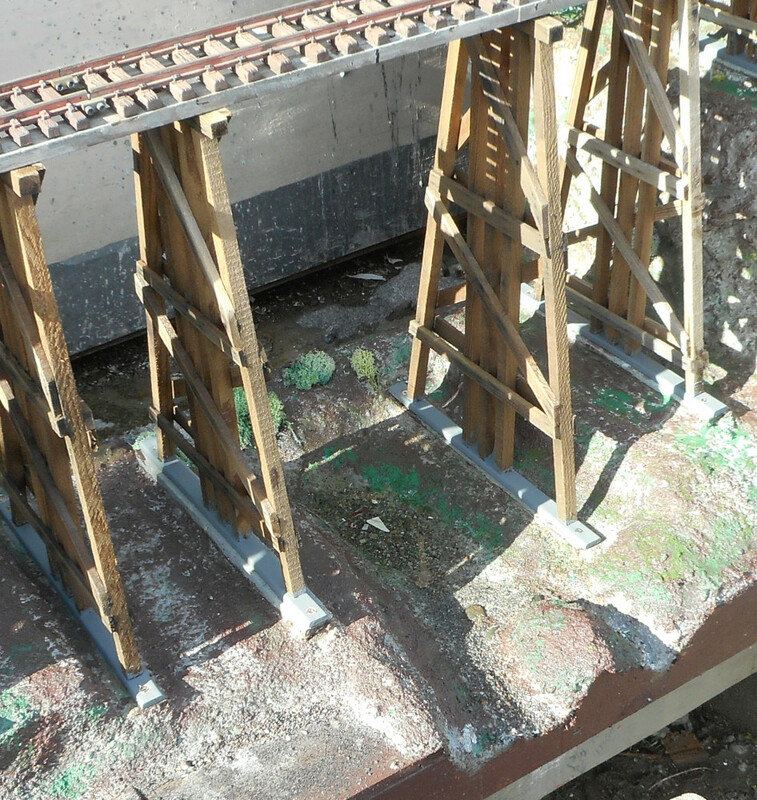 There is little to be seen today of the other four trestles. Laguna Creek was once a freshwater inlet that was periodically flushed by ocean surges. To cross Laguna Creek at MacKerricher State Park. (actually, it should be spelled MacKericher, but one of the MacKericher daughters thought it was “tonier” to have an extra “r” in their name.) 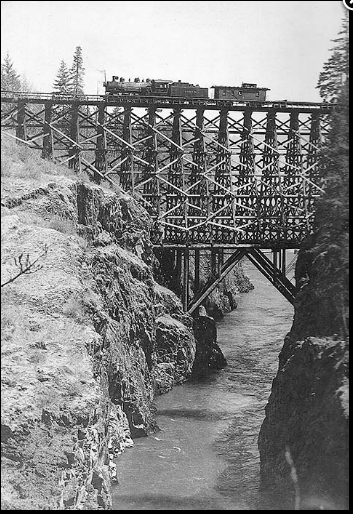 the line’s longest trestle (815 feet) was built across the creek and the dumping of fill material created what is now Lake Cleone. The McKerricher trestle was the third of the five trestles – the second was at Virgin Creek, the fourth at Sandhills and the fifth was at Inglenook Fen. These two great photos show you what you can see today ……. Can you go and see them? Alas, no. The roads into the woods these days have locked gates. 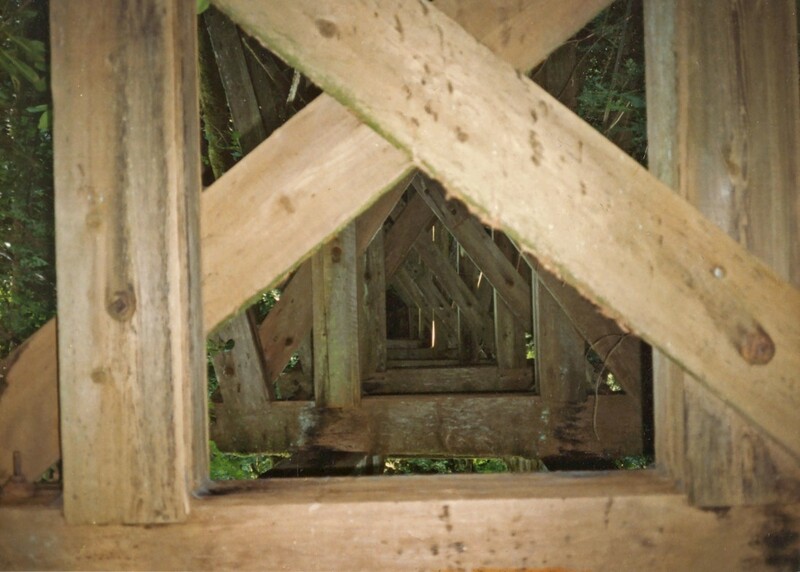 Also, the loggers stay pretty “mum” about the locations of these remaining trestles. 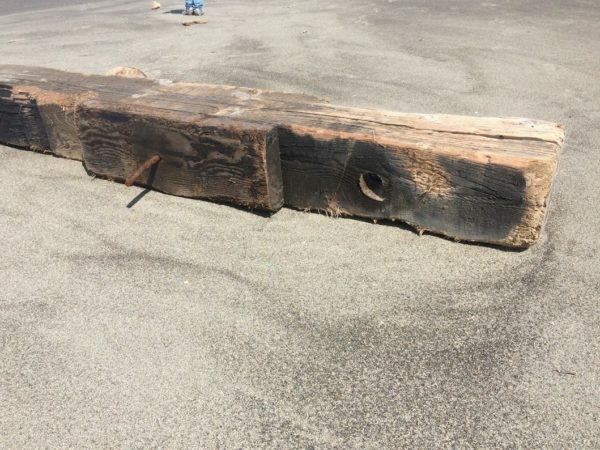 The Union Lumber Company’s Ten Mile Branch ran from the Mill site in Fort Bragg north along the coast over five trestles till it came to Ten Mile River. 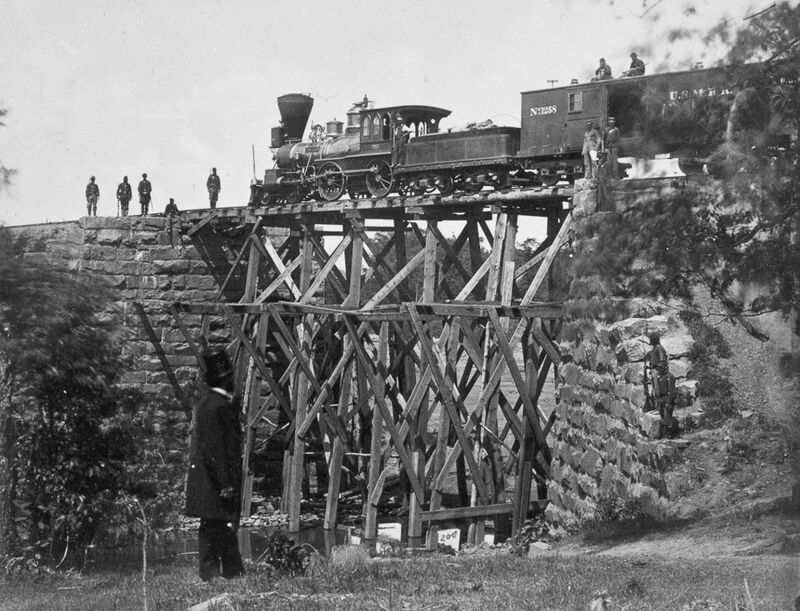 At Ten Mile River the railroad made a huge sweeping turn to follow the river eastwards inland. The ocean front portion of the Ten Mile Railroad route is now a dedicated hiking and equestrian trail from Pudding Creek to Ten Mile. 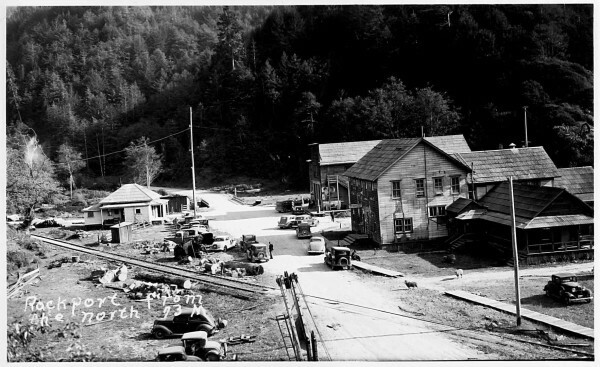 Between 1916 and 1949, the Ten Mile Railroad was a working logging line carrying few passengers except for woods workers and their families who lived in the camps along the Ten Mile River. 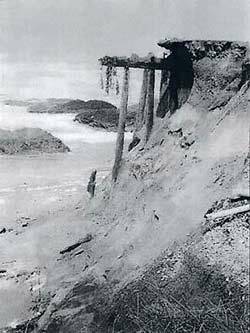 After the change to truck hauling in 1949, Union Lumber and successors Boise-Cascade and Georgia-Pacific used the railroad route as a logging road until 1983 when winter storms damaged the oceanfront portion of the road. The old railroad bed east of the Ten Mile Bridge is still used by Georgia-Pacific [and its current owners] as a logging road. The railroad was discontinued June 17, 1949 and replaced by a private trucking road, which in turn was abandoned in 1983. The road is now owned by the people of California through the State Parks system. North of the access to MacKerricher State Park at Ward Avenue, the route of the Ten Mile Railroad enters the ocean side edge of the Ten Mile sand dunes. 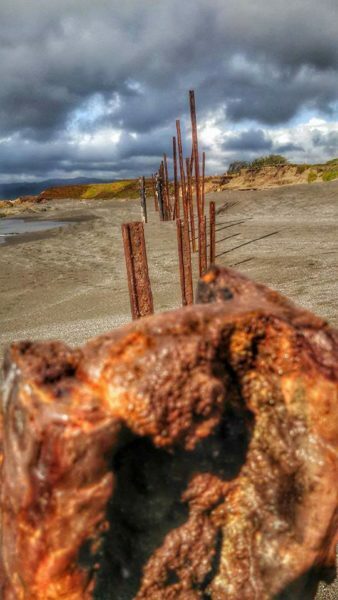 The transition point, where the bluffs end and the dunes begin, was the site of a major El Nino washout in February 1998 when the remains of an old railroad trestle could be seen after the pavement toppled to the beach. Subsequent storms washed away most of this trestle. 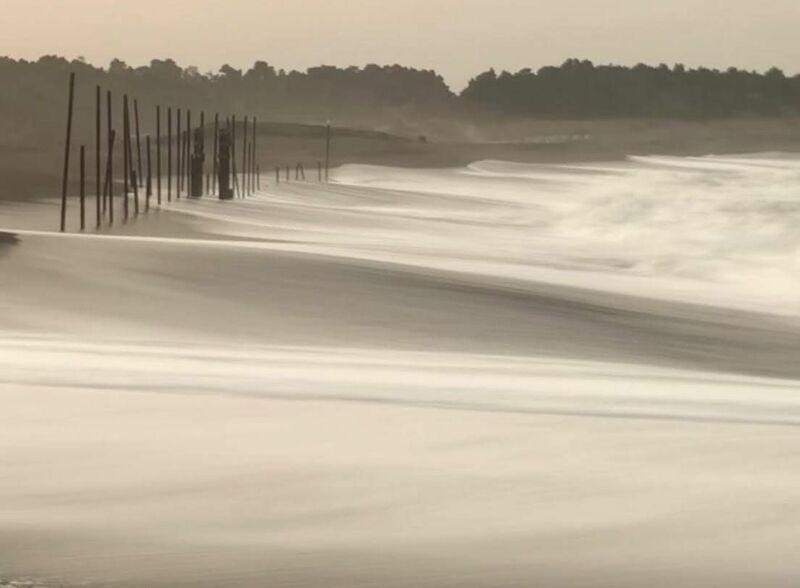 Last winter there was a lot of heavy surf and very high tides along the coast with a lot movement of the beach and much debris washed up. Club member Mike Aplet and his charming wife are great hikers. They recently (Spring 2017) walked along the beach along the Inglenook Fen section of the Ten Mile Branch found, and photographed – see below – pieces of the Inglenook Fen Trestle. Rare photos of something long gone. Posted in Mendocino Coast, CA , Local History, Trestles. I was talking to a couple about the trestles we have on our layout. They were very interested and, I think, quite surprised that an aged accountant knew so much about them. As usual I was basking in the thought that somebody actually thought I knew my onions. 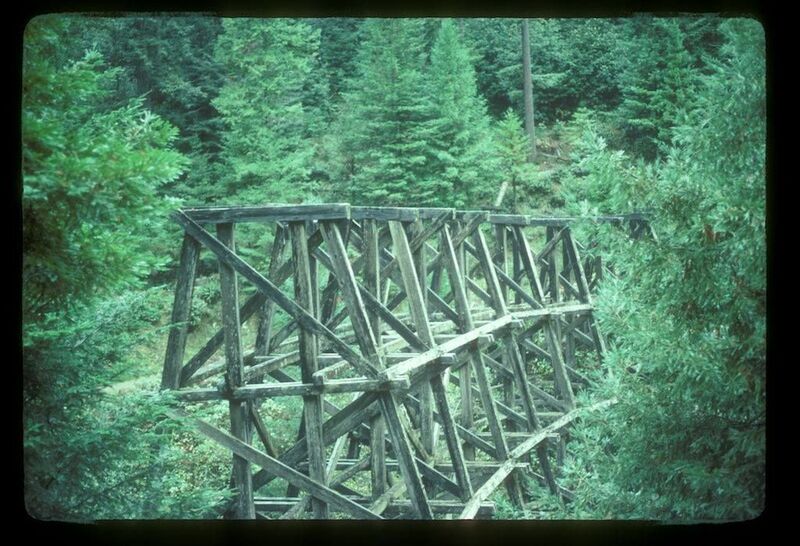 And then came the zingers: “Which was the oldest trestle? Which was the highest and which is the largest that still exists?” I was stumped. I took my wee notepad from my pocket, noted the questions down and promised to investigate and post what I found out here. Now, before I proceed, let me say that if anyone “out there” has better answers than me I’d be right happy if they would contact me. I feel more confident about this one – it’s the Goat Canyon Trestle Bridge. It was built in 1932 and it is still standing. It’s 600 feet long and 200 feet high. 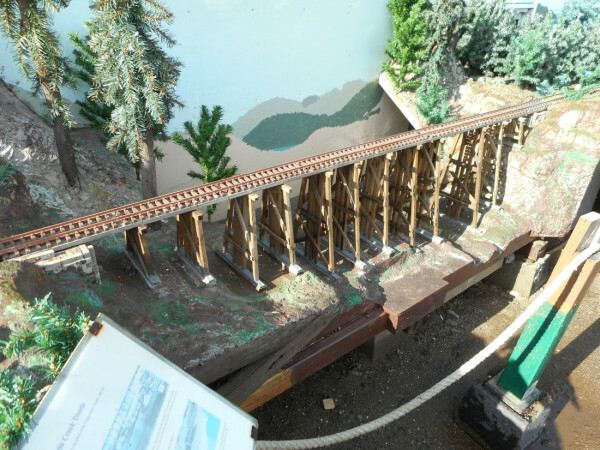 It is the largest freestanding wooden trestle in the world. 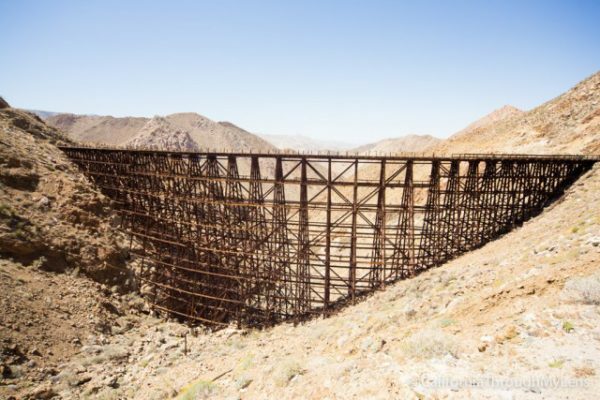 Posted in Train Visits - Steam Era Railways, Trestles. Our website has a pretty good page on Russian Gulch. 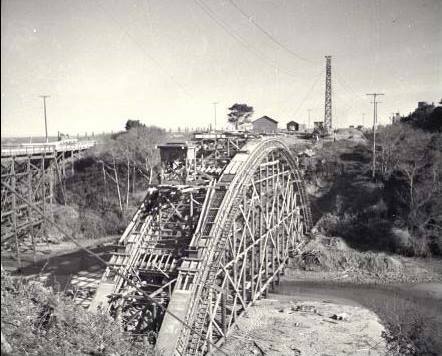 In the text it says,”Prior to the [present] bridge’s opening, traffic across the gulch was carried on a wooden trestle bridge built in 1911, that was designed to support the weight of a 6 horse team! !” The page has pictures of the current very graceful bridge but no picture(s) of the old wooden bridge ……..until now. Ignore the construction and look at the top left corner of the photo ……..yup …… there’s the old bridge – well part of it and owt is better than nowt!!! The Virgin Creek Trestle was the first of five Trestles on the Ten Mile Branch which were needed to get Union Lumber Company’s (ULC) trains from the mill opposite downtown to the Ten Mile River basin. This picture was taken after a severe storm in 1949. The trestle was not repaired but shortened and the remainder turned into a berm. 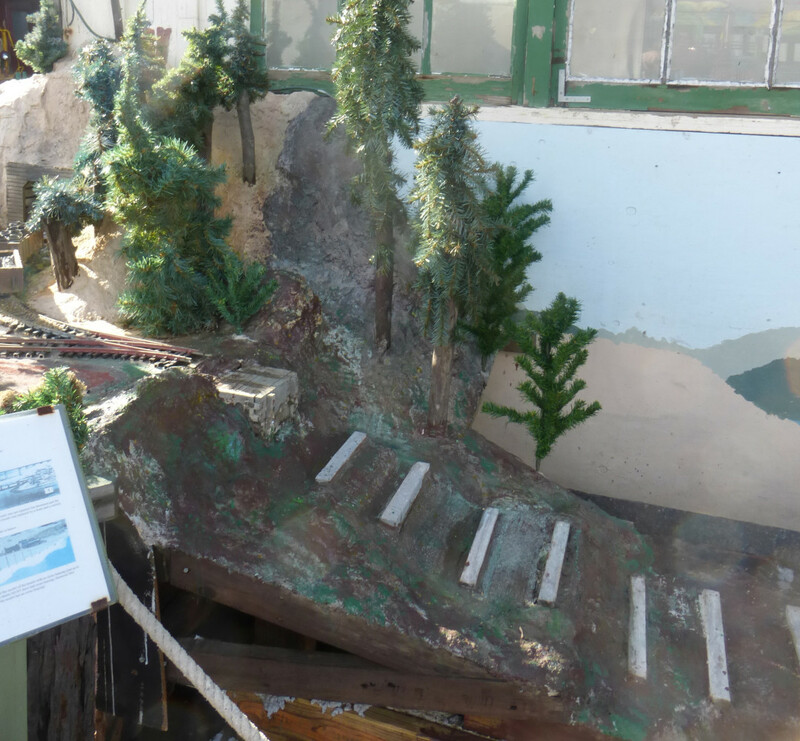 What was left of the trestle was replaced by a berm and a culvert, we believe, in 1959. 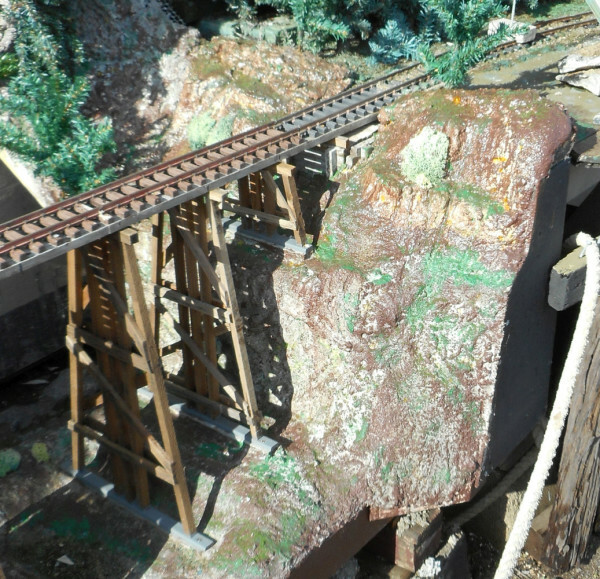 Late last fall the decision was made to replace the eight year old trestle which had suffered the ravages of the Fort Bragg salt air (the layout is but a half mile from the sea), the UV and the winter rains. Work has been ongoing and the new trestle with proper bents is nearly complete. Posted in Our Layout, Trestles. 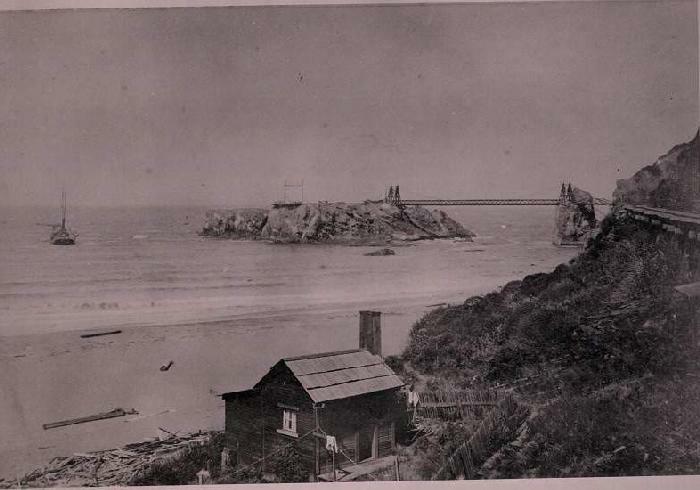 If you look really carefully at the above picture you can see the line going out from the rock to the schooner that was used to carry the lumber to market. 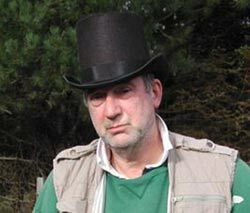 If you want a detailed tour for yourself we can put you in touch with club member Mike Aplet who knows the area very well from the summers he has spent just up the road from Rockport. As Mike and his charming wife Laura will tell you, Rockport is a great place to visit. Comments on my answer are very welcome.